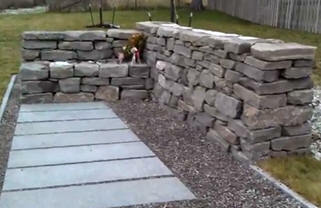 June 11, 2012 - A memorial honoring the victims and families of Flight 3407 was unveiled in Clarence, New York, this week. The memorial, located at 6038 Long Street, is said to be simple, but effective. The Made In America Store offers a view into the life of one of the victim’s wife, Robin Tolsma. “Everything Changed” by Robin Tolsma gives readers a look into her world and how she is fairing since the Flight 3407 accident. Colgan Air Flight 3407 Crashed During An Instrument Approach into Buffalo, New York. Colgan Air Flight 3407, marketed as Continental Connection under a codeshare agreement with Continental Airlines, was a U.S. regional airline flight from Newark, New Jersey to Buffalo, New York. The plane crashed into a house in Clarence Center, New York on February 12, 2009, at 10:17 p.m. The crash killed 50 people, including the two pilots, two flight attendants, 45 passengers (including an off-duty pilot), and a person in the house into which the plane crashed. It was the first fatal accident of a commercial airliner in the United States since the August 2006 crash of Comair Flight 191, and the most recent as of May 2012. The memorial, located on Long Street, is made up of 51 paving stones making a walkway, a paving stone for each life that was lost at the accident. A small bench next to the stones have each individuals name engraved into it. "We hope it will be a place where you can come to pray, to think, to cry, to smile, but most of all, to remember," Mike Powers, President of "Remember Flight 3407" said. 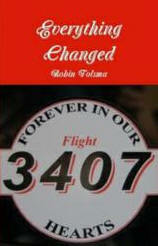 The Made In America Store offers a book from one of Flight 3407’s victim’s wife, Robin Tolsma. The captivating book gives the reader an inside look into her life when the accident took place and how she is living her life today. A lot of debate went into how the accident happened and was ultimately ruled pilot error was to blame. The book talks about how she adapted to being a single mother and how she fought to change legislation. Robin Tolsma's book talks about how her life drastically changed on February 12th, 2009 when Flight 3407 plummeted out of the frozen sky and crashed, killing her husband Darren Tolsma on board and 48 other individuals on the aircraft including one man in the home the plane had hit. Speculation swirled around Western New York and the nation as to how something like this could happen. 50 people total were killed in the accident and many families were affected by the tragedy. After the media attention and the public "Thank you's" to the first responders and cleanup crews subsided, Tolsma and the families affected by the accident set their goal on changing some rules and regulations to have better pilot training. The new federal Aviation Administration, or FAA bill, that robin is trying to pass, states that new pilots require at least 1,500 hours devoted to flight time upon being hired as opposed to the current 250 hours flying time needed today. The new piece of legislation has passed the House of Representatives but is on hold at the Senate. "People like Robin Tolsma are very important," said New York Congress Representative, Chris Lee. "When you attach a voice and a story to a piece of legislation - if that doesn't move congressmen and senators, they shouldn't be here." Robin Tolsma is dealing with more than just the accident and heading the movement to change the FAA rules. Tolsma was diagnosed seven years ago with the autoimmune disease lupus and just a few months before Darren's passing, she discovered she had leukemia. With what looked like the odds being against her, she is still more concerned about her children. "I'm going to be fine," said Tolsma of her illness. "But my fear is I don't want to leave the kids without a parent. I think of that all the time."